Stop on over at the Jane Addams Hull-House Museum on Sunday, July 23rd between 10 am and 4 pm. 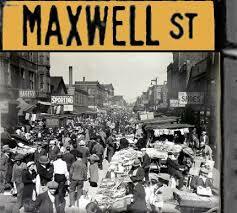 Explore some Maxwell Street history through artifacts from the Hull-House and the Maxwell Street Foundation collections, tours, food, music and conversations with neighbors. Free of charge! Please see the link below for more information.